“To those of us to whom the parting has come, there is great consolation in inurnment. It lends itself to the most beautiful ceremony. The knowledge that there has been provided a resting place for the cremated remains that can never be disturbed, gives a feeling of permanence and security. In its niche (resting place), the urn holding the snow-white fragments of the earthly garment, which for a time clothed the soul of the loved one, is safe from the elements. You may have noticed that the name of my blog has changed so I thought I would give a brief explanation. The original title of the blog was "Urns and Outs" - to match my column in the regional magazine "The Dead Beat." But since I have several followers from other parts of the country, I thought I would give the website a new name - one that represents the history of and dedication to cremation that I am trying to convey. 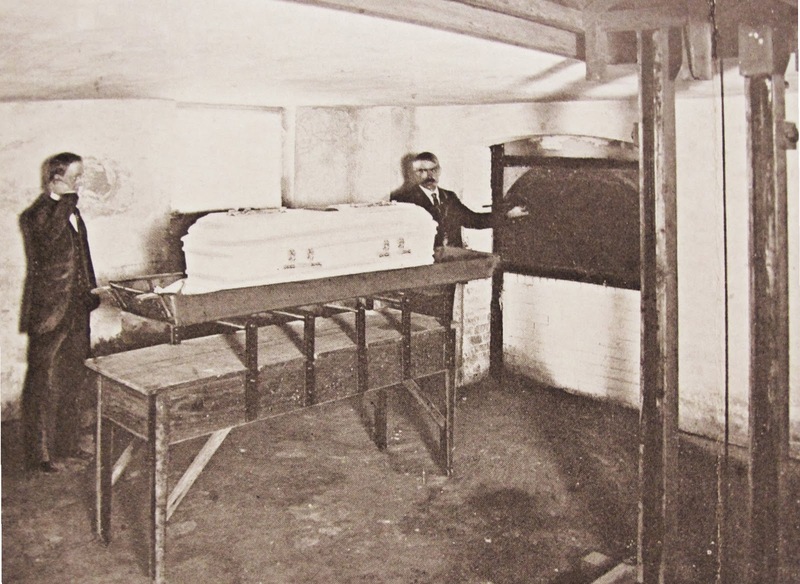 Dr. Hugo Erichsen was a major proponent of the cremation movement in America - and in the 1920s, he oversaw the compilation of thoughts on the subject of cremation - the booklet was titled "Via Lucis." Though I am not sure where he came up with the title, but knowing him, it was wrought with depth and meaning. Perhaps it was the quote of Frances Willard and her view of cremation as "the luminous path of light" as opposed to "the dark slow road of the valley of the shadow of death" that swayed Dr. Erichsen in his choice of names. Either way, the words "Via Lucis" became synonymous with Dr. Erichsen's view of cremation, and the words occupy a stained glass window in the columbarium where the remains of this champion of cremation rest in the Woodmere Crematorium in Detroit. rest the remains of Dr. Hugo Erichsen. It is in Dr. Erichsen's honor that this website is named. I respectfully carry on the torch he championed so proudly throughout his life! The year was 1891 and the cremation movement in America was in its infancy. In a number of locations throughout the country, groups of individuals had come together to support the movement and to discuss the building of crematories in their towns. This was not only prevalent in the larger U.S. cities. 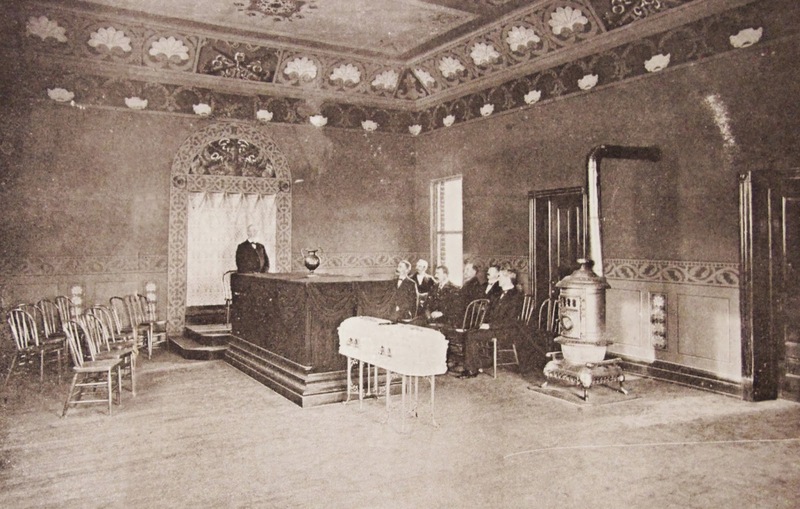 Smaller towns and locales throughout the country had their own proponents of cremation - and one such town was Davenport, Iowa. In Davenport, the cremation movement was mostly supported by the German-Americans that inhabited the city. Their support was strong enough to garner the Fairmount Cemetery to grant the sale of a parcel of their land to build a crematorium. Work began in 1890 and the facility was completed the following year. 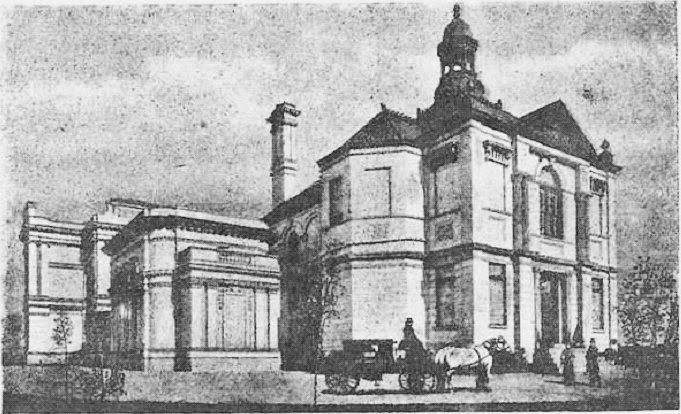 The Davenport Crematorium after completion in 1891. The retort of the crematorium, located in the building's basement. 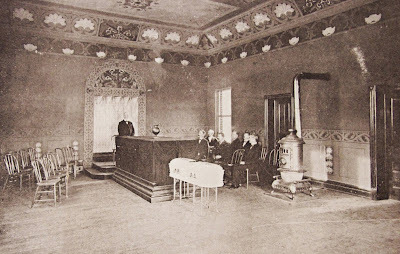 The first cremation company organized in the U.S. was the United States Cremation Company, incorporated in 1876, with a capital stock of $35,000. 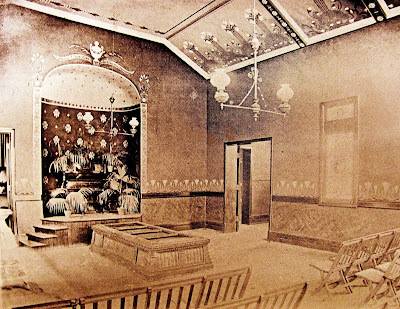 The US Cremation Co. was the most successful of the early cremation societies and operates the oldest continuously operating crematory in the country. In 1884, the company purchased a plot of ground near Fresh Pond on Long Island in New York. 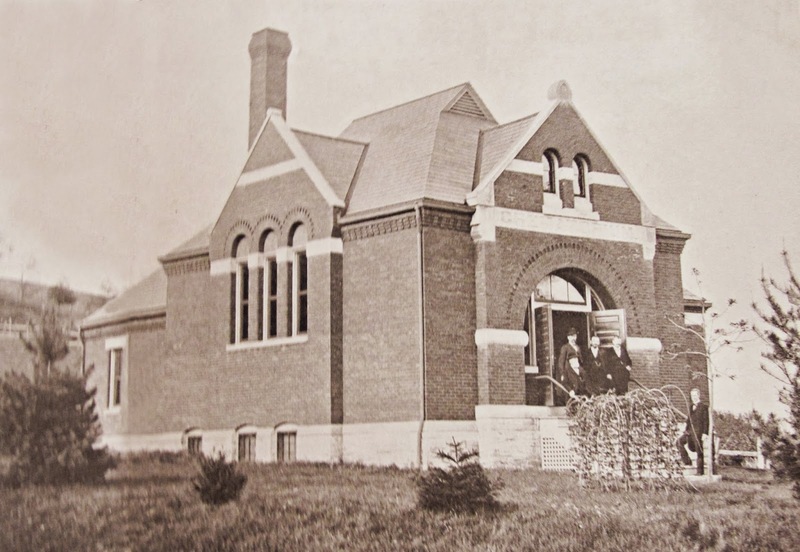 Work began on the construction of the building and by 1885, the facility was completed and ready for use. 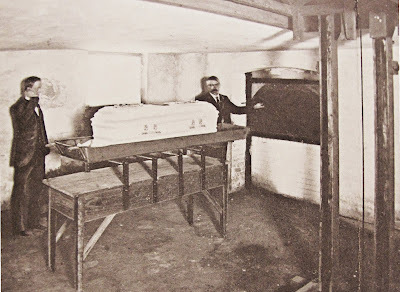 The first cremation took place on December 4, 1885. Today, the historic facility is operated as the Fresh Pond Crematory & Columbarium. 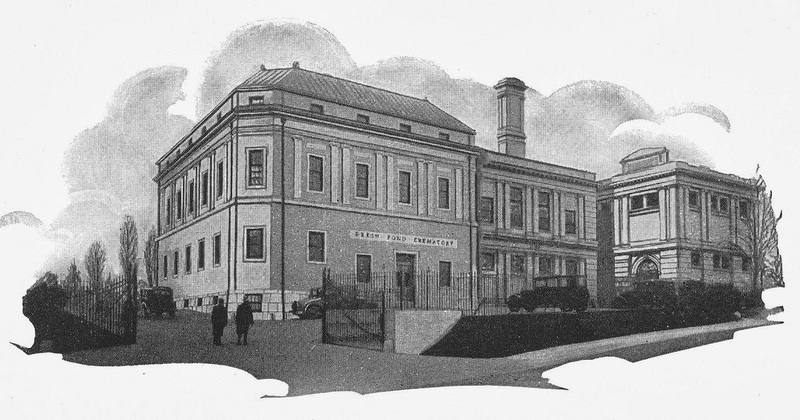 The Crematory as it appeared after completion in 1885. The Fresh Pond Crematory as it has been since 1941. "Advocates of cremation are of the mind to cherish tender memories, and seek to shape natural forces to sweeten, glorify and beautify the lives of the living and the memories of the dead. Viewing cremation from all angles they find much to commend it... nothing to condemn it. They are truly humanitarian, not desiring to pollute earth and air and water of their dear survivors with the slow decay of their bodies, but choose instead the cleaner, sanitary and more rapid way of dissolution. They are truly aesthetic, seeing in the purifying glow of cremation, loveliness, dignity and sublimity." 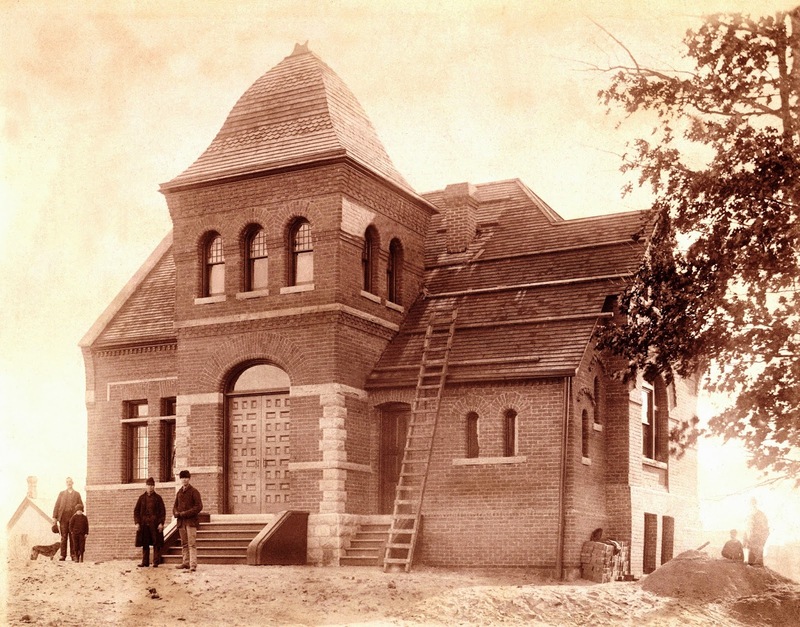 ~ from "For the Ages"
The Detroit Crematorium during its construction in 1887. 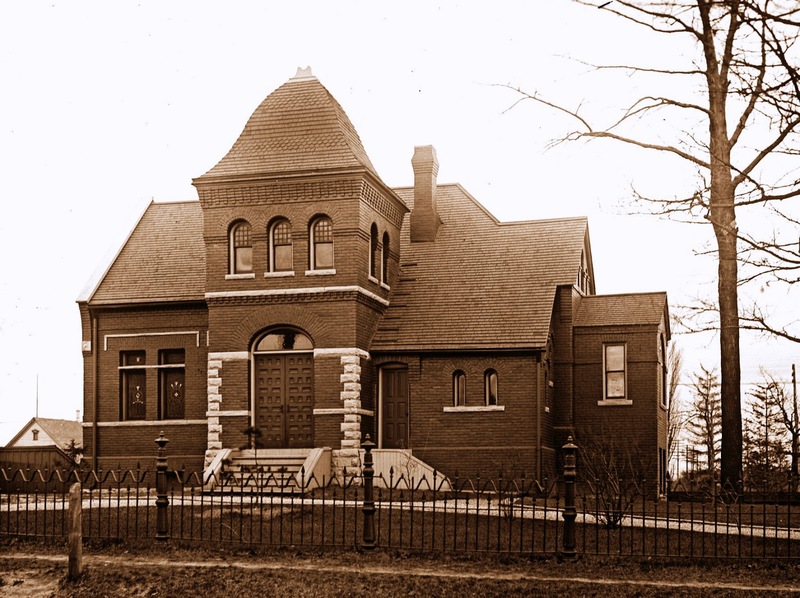 The First Crematorium in the state of Michigan was constructed in Detroit by the Michigan Cremation Association, the founder of which was Dr. Hugo Erichsen. Construction began in 1887 and by December of that year it was ready for use. Mrs. Barbara Schorr, an Ohio resident who desired the cremation of her remains after death, was cremated in the facility on December 10, 1887. When the Crematorium was built, it contained a small gathering room, columbarium, office (or janitor room) and the basement contained the retorts for cremation. 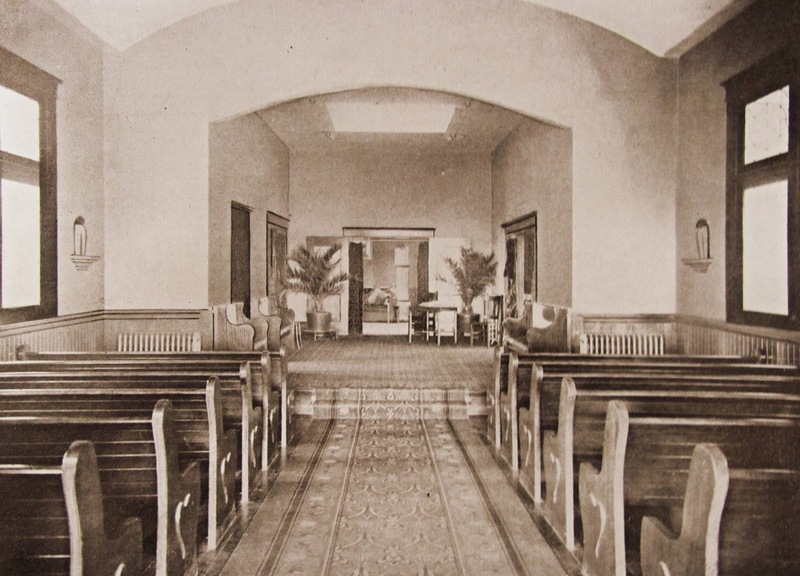 Later, the gathering room was enlarged into a chapel and a columbarium building was constructed on the grounds. When cremation became more popular in Michigan, the trustees of the Woodmere Cemetery constructed a crematorium and chapel on their grounds in 1913. 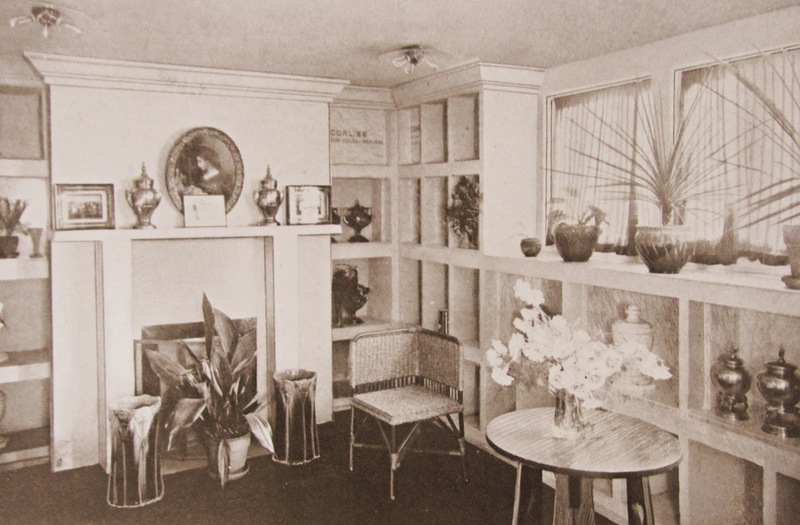 Though their facility was the more modern of the two, the Detroit Crematorium kept the corner on the market. The cremation movement in America changed in the mid-1920s and crematories moved from being operated by cremation societies and became business ventures for many cemeteries. Detroit was no exception to this rule. 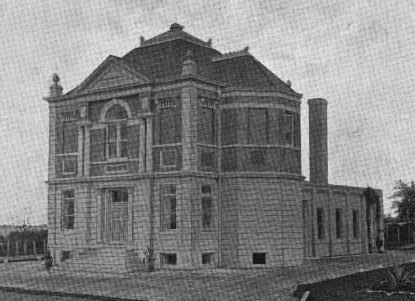 As interest in the cremation association dwindled and interest in acquisition was shown by Woodmere, the Detroit Crematorium merged with the Woodmere facility and its building was razed in 1929. 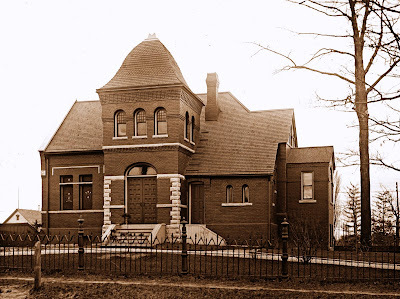 The Woodmere Facility was renamed Woodmere-Detroit Crematorium & Columbarium, and still exists. The Chapel of the Detroit Crematorium as it appeared circa 1901. 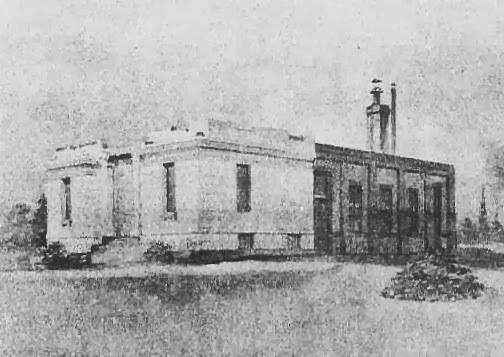 The Detroit Crematorium circa 1920s, just before it was razed. 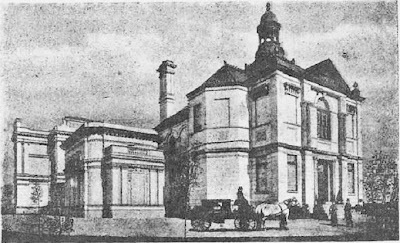 The first crematory in the state of Washington was opened in 1905 under the direction of the Washington Cremation Association. 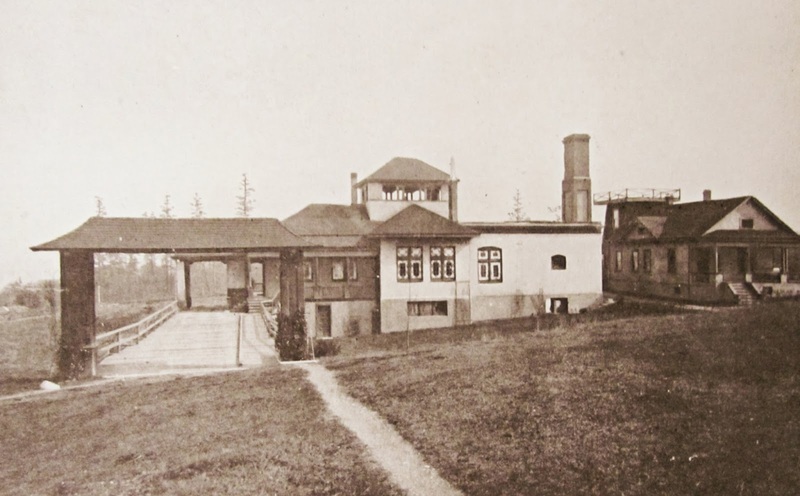 Located on Queen Anne Hill adjacent to Mount Pleasant Cemetery, Arthur Wright was the manager of the facility. The facility included a Chapel for the conduction of services prior to cremation, and the entire basement was composed of columbarium niches of various sizes.